The featured products—including its recently released roving camera pedestal, advanced camera control panels along with a full line of pan/tilt heads and track systems—are all designed to support a myriad of workflows by providing smooth motion, quiet operation, advanced automation features and high mechanical precision. Telemetrics unveiled for the first time in Europe the new OmniGlide Roving Platform (model RRP-1), winner of a 2018 NAB Best of Show Award. The OmniGlide Roving Platform features an orbital drive system offering complete freedom of motion. This provides ultra-smooth direction changes and movement along curved paths. Dynamic movements won’t lose camera orientation when performing crabbing movements or spinning-on-a-dime. The OmniGlide roving pedestal utilizes advanced software and XY sensors, similar to those of the autonomous car industry, to aid in its unmanned operation. Robotic-Mode uses a remote control to move via: Joystick Control on an XY-Plane, Point-to-Point timed and synchronized preset positions, Key Frame motion through multiple points, record/playback, and autonomous reFrame motion. Following on the success of its Remote Camera Control Panel, the RCCP-1, Telemetrics showcased new features for a more fully featured “Advanced” control panel. Designed for larger broadcast studios, the Telemetrics RCCP-1A is now shipping with a fully comprehensive user interface and enhanced features including joystick configuration, smoother zoom functions and dwell loop capabilities. The system, with optional Studio software (the RCCP-1A-STS), also includes Telemetrics’ reFrame Automatic Shot Correction technology. This augments automated newsroom systems by using facial recognition to lock cameras onto the talent and automatically trim the shot, without the operator ever having to touch the controls. The RCCP-1A-STS also allows users to store multiple shows, each with its own unique inventory of shots. 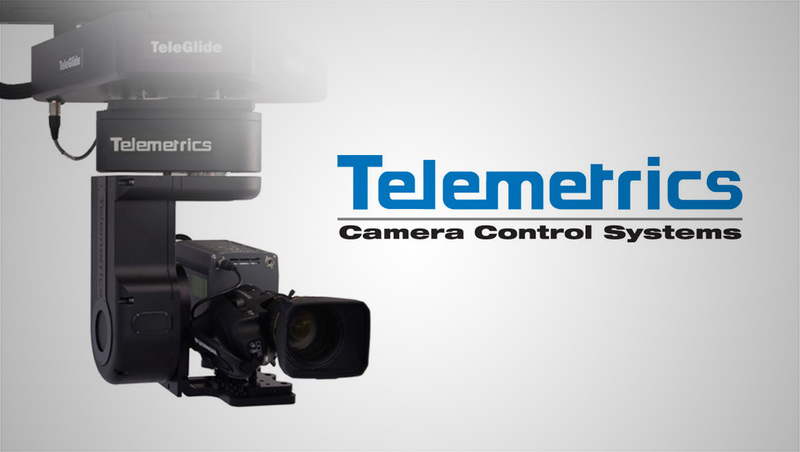 Telemetrics also spotlighted a must-see addition to its popular series of robotic servo-controlled pan/tilt camera support systems, the PT-HP-S5 Servo Pan/Tilt Head, which brings new value and operational performance for robotically controlled cameras and automated production studios. Attendees at the IBC Show also saw a hands-on look at the ever-popular Televator EP7 Series Elevating Pedestal that’s designed for greater stability. 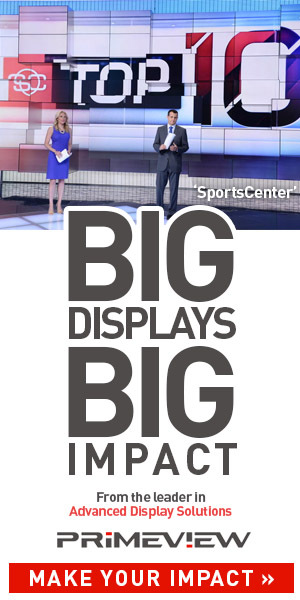 It’s available in three sizes (EP7-600, EP7-700 and EP7-1000) to accommodate virtually any camera and height position. The EP7 allows users to maximize available space in large and small studios, while facilitating more creative shots that enhances production value. Also on display was the TG4 and TG4M, of the TeleGlide family of Camera Track Systems to accommodate curve track requirements for television studio, conference room, sports and house of worship applications. The TeleGlide features a streamlined trolley and track, which minimizes space requirements. Tracks can be configured in a number of ways (floor or ceiling mounted) to support studio and live remote production applications.